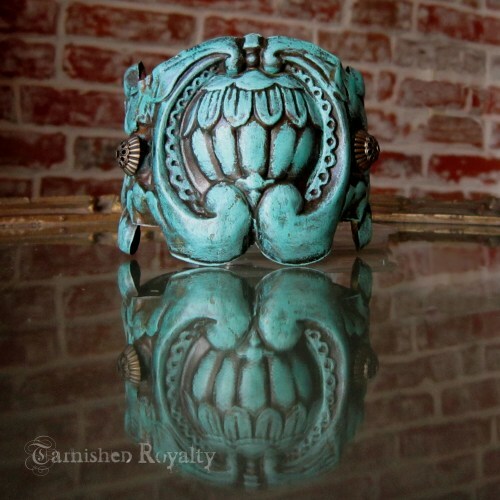 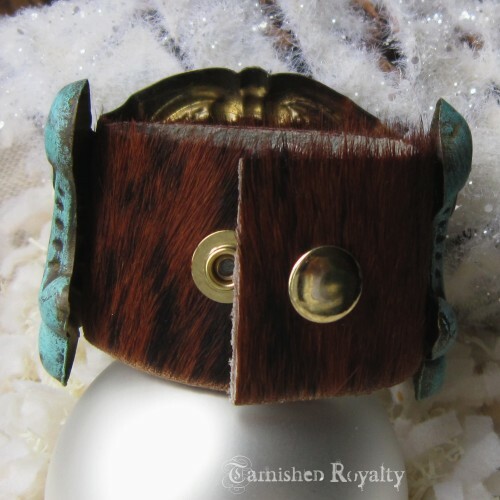 A large and stunning vintage metal hardware piece is the centerpiece for this cuff bracelet. 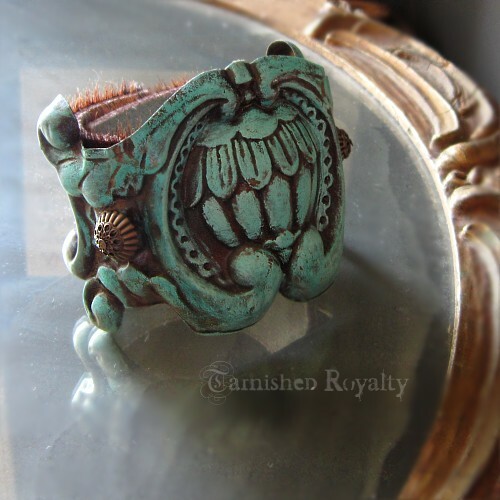 Added turquoise patina brings out the amazing detail. 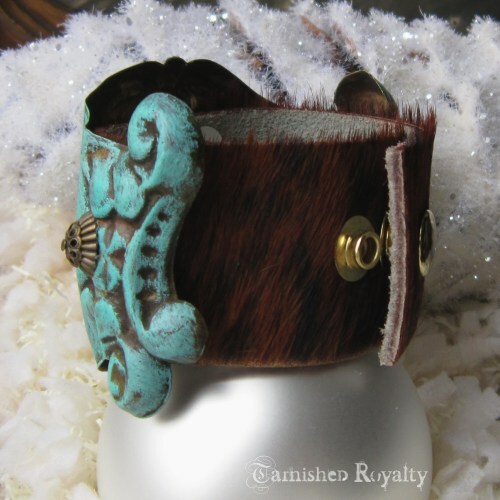 Brindle cowhide leather band snaps at back.